A deed of 1841 mentions an endowment of £4 per year from the will of William Seymour to East Garston School, and the post office directories of 1847 and 1854 record the presence of a National School in the village, with a schoolmistress named Ann Winter and roll of 56 pupils, but the whereabouts of the building is not known. 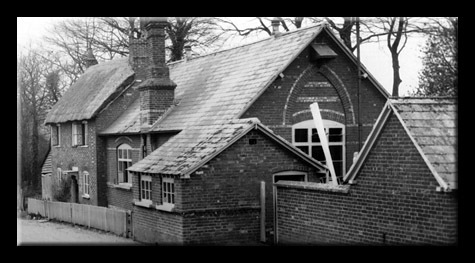 It may well have been on the same site as the school which replaced it, built in 1872 for 60 children at the cost of about £300, the cost of which was collected by subscriptions and a grant from the National Society. In 1893, there was an HMI inspection visit, which reported "Not much intelligence is shown. The Infants are backward in Reading and more attention should be paid to their Object lessons". 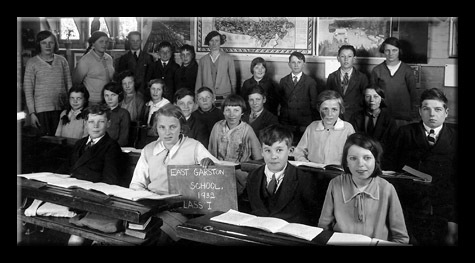 The history of the management of East Garston School, a Church of England school, is recorded from 1903. The trustee managers included the vicar of East Garston, the Rev. John Tudor, J. H. Spackman, R. Denton, T. Hughes, Major Aldridge, Philip Wroughton and J. Wale, Junior. The new Education Act of 1902 required the constitution of a body of Foundation Managers. 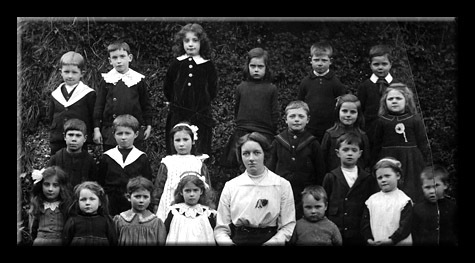 Miss Norton, the head teacher, resigned and left the school at the end of the school year, on 30th April 1903. In 1904, rent for the teacher's house, comprising a brick dwelling with thatched roof, lean-to shed and two plots of garden amounting to about 24 poles, was fixed at £6 per annum. There was also a well, from which the school cleaner used to draw water. 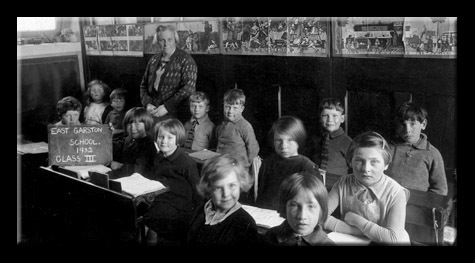 In 1906, the managers decided that a schoolmistress would be more economical, as an increase in salary for the head teacher could not be recommended with the average attendance being under 75. One of the managers was "inclined to doubt whether a Mistress would be equally efficient". In 1907, the head teacher, Miss Barnacle, had to complain to the managers about two parents who came onto the school premises and caused a disturbance. The managers duly wrote to the parents, explaining that it was permitted to keep children in after school as a punishment for bad behaviour. At the following meeting, three mothers had complained of the head teacher's "undue severity of punishments". In 1910, Mrs Cullimore alleged "cruelty" to her son, Herbert, who had been hit on the face and kept in regularly. As usual, the managers replied explaining the necessity of these actions in order to maintain order and discipline at the school. 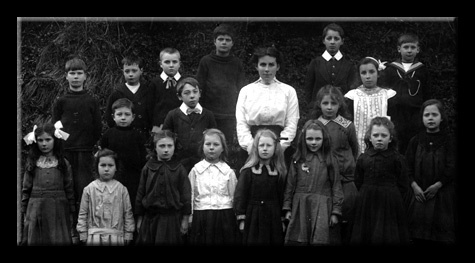 In 1910, Miss Barnacle wrote to the local education authority (without informing the school managers) complaining that the managers had failed to support her over 25 parents who had signed a petition. The managers decided that in the light of the difficulties, Miss Barnacle "would be able to do better in another school". Apparently nothing was done, as in 1911, Mrs. Claridge refused to send her son to school until the attendance officer called and investigated her complaint that her child had been hit on the head. Miss Barnacle continued in her post until she retired in 1920 and was replaced by Miss L. Hinton. 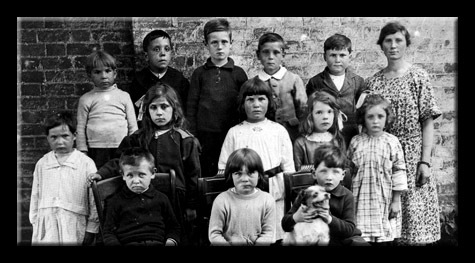 In 1915 the managers conveyed the following resolution to the education committee: "Under present circumstances it is desirable that all boys and girls above the age of 12 years should be allowed to leave school if and when they are proved to be beneficially employed." Miss Gladys A. M. Quelch was appointed in 1924. The next school inspection report observed that Miss Quelch lived too far from the school, and that her work was affected by this. The managers did not think that living in Famborough adversely affected her work, and wrote to the education secretary to tell him so. They did have cause to discuss her punctuality, particularly after she was reported to have arrived at 9.10 am. 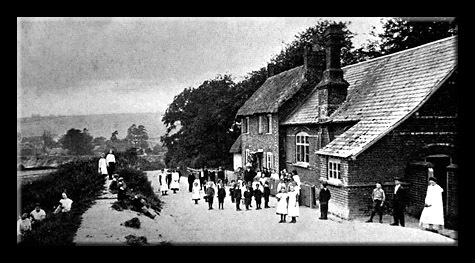 Miss Quelch later took up tenancy of the adjacent school house, but relinquished it in 1936, when sanitary arrangements were improved and a water rate of six shillings a week was introduced. She continued as head of the school until 1961. The managers at the meeting in 1926 discussed the unfortunate case of Sidney Stroud, who had lost his eye as a result of an accident when playing with other children near the school. The managers decided that nothing could be done other than finding out if the cleaner or school caretaker were insured against accidents. A year later a successful claim paid £50 compensation. 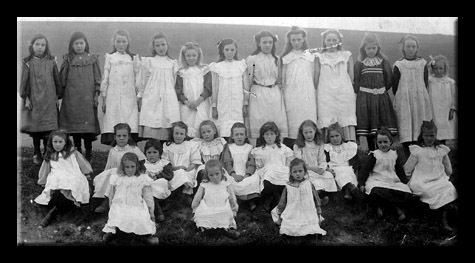 A measles epidemic in 1928 resulted in only 12 children attending the school. 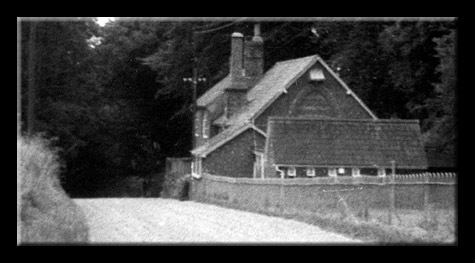 Electricity came to the school and school house in 1948, with a mains charge of nearly £30. In addition to lights, a two-amp plug for a wireless was fitted in each classroom. The school transferred to aided status in 1953, which resulted in the responsibility for the school upkeep passing to the local education authority. 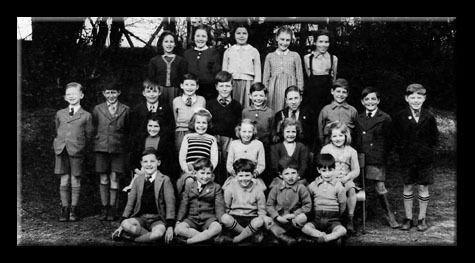 By 1956, the numbers were falling and only 37 were on the roll, although the Oxford Diocesan Council of Education was "greatly impressed by the whole atmosphere, the children without exception seeming to enter whole-heartedly into the spirit of devotion". 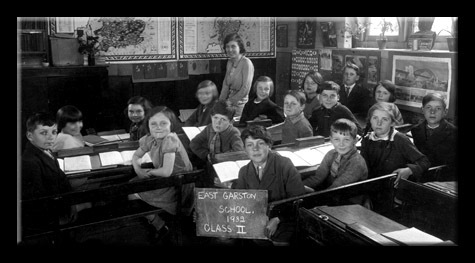 The numbers had dropped to 34 in 1958; the education authority was contacted to discuss the fact that Eastbury School was accepting children from East Garston. The managers of Eastbury School were asked to discourage this practice. There were only 28 children in 1961. An explosion in the school stove in 1962 caused the cleaner to suffer considerable shock, and a payment of £2 was made "as a small appreciation and compensation for her unnerving experience". 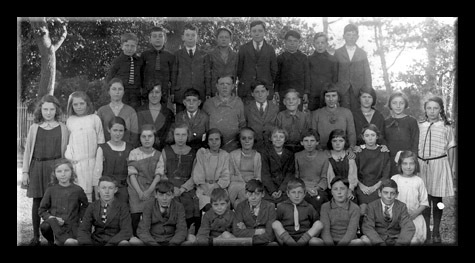 Miss Bradford, the head teacher in the early 1960s, left at rather short notice in 1966, and was not immediately replaced, as it was thought that the school would ultimately close. Nobody, it seems, can remember exactly when the school finally closed, but the last entry in the school ledger is dated 25th January 1968, when the headteacher requested a subsidy for a trip to Mme Tussauds. Some bible purchases were authorised, and a Mrs Powell was commended for the appearance of the classrooms. After closure the school building and the teacher's house were both converted to private housing.